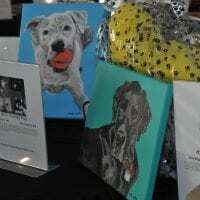 Who doesn’t love dogs? 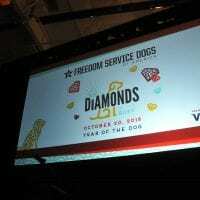 And several well-trained service dogs from the non-profit Freedom Service Dogs were on hand for the FSD’s Diamonds in the Ruff. 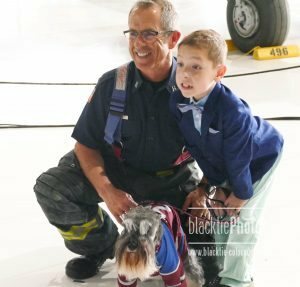 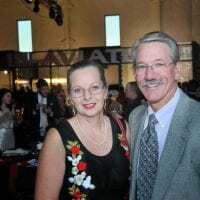 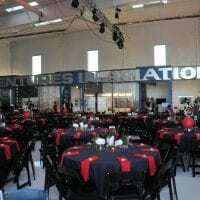 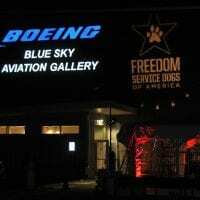 The annual fundraiser, held Saturday, October 20th, served as the inaugural event for Wings Over the Rockies: Exploration of Flight facility located near the Centennial Airport in Littleton, Colorado. 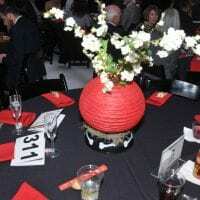 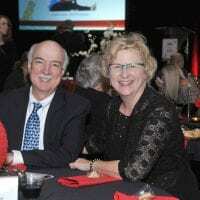 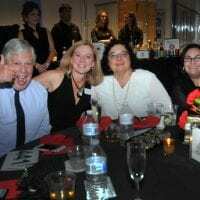 The sold-out gala raised a record amount of approximately $330,000 with more than 500 guests enjoying this year’s theme: Year of the Dog. 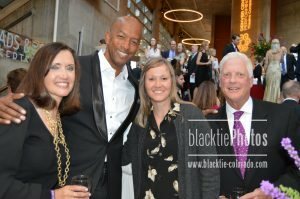 FOX31 Anchors Aristea Brady and Jeremy Hubbard served as emcees. 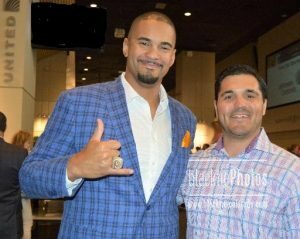 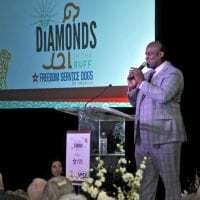 Former Denver Broncos running back Reggie Rivers returned as the auctioneer extraordinaire. 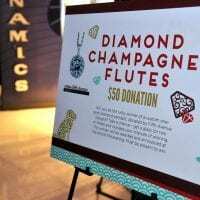 Guests enjoyed a demo featuring service dog-in-training Squints, shopped the fabulous silent and live auctions, and purchased flutes of champagne for the chance to win a one-carat, custom diamond pendant, donated by Larry Blauweiss of Fifth Avenue Designs. 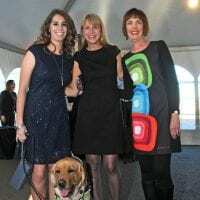 FSD President/CEO Michele Ostrander welcomed the crowd and reviewed the past year’s programs which was followed by a service dog demonstration, program video, and live auction. 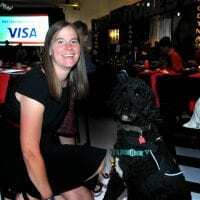 Among the highlights of the evening was the demonstration by service dog Squints who followed commands to the letter including painstakingly picking up a credit card from a slick stage floor. 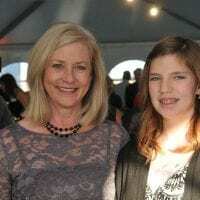 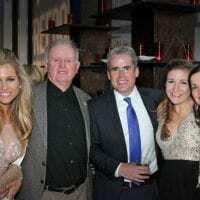 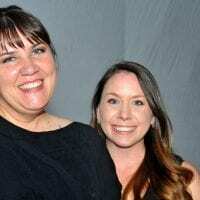 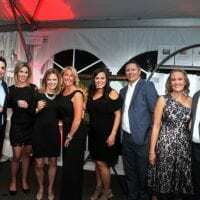 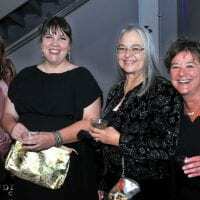 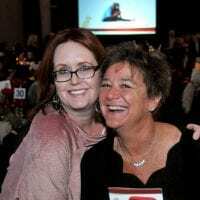 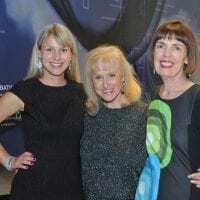 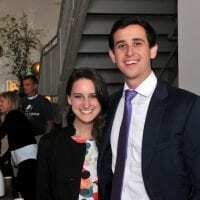 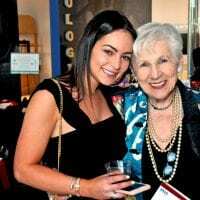 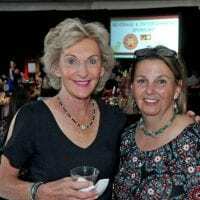 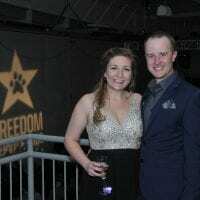 This year’s Diamonds In The Ruff (DITR) Event Chair was Lani Kessler who with her team of 21 DITR committee members ensured a smooth celebration. 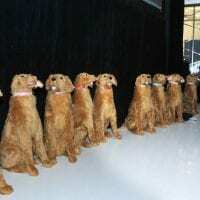 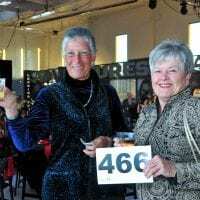 Live auctioneer Reggie Rivers generated a lively competitive bidding war for several stuffed golden retrievers, travel packages and other gift items and general donations. 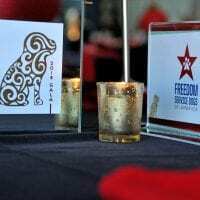 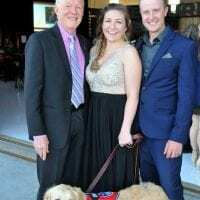 Based in Englewood, Colorado, Freedom Service Dogs provides well-trained service dogs to military veterans, children with autism and people with mobility disabilities to handle life tasks which enable them to regain their independence. 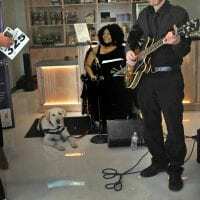 Guests enjoyed an Asian-inspired buffets, silent and live auctions, special entertainment by vocalist, Navy veteran and FSD Client Angela Walker (accompanied by service dog Brave) with guitarist Chris Winter, and a drawing for a diamond pendant (designed and donated by Larry Blauweiss of Fifth Avenue Designs). 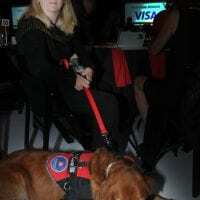 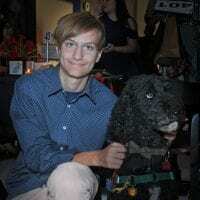 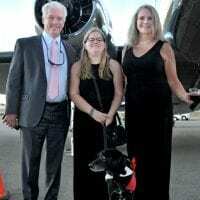 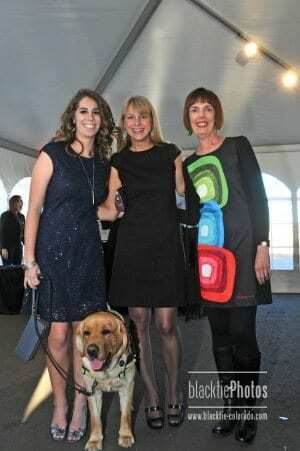 Several FSD clients and their amazingly trained service dogs were on hand throughout the evening. 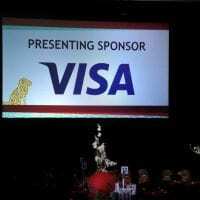 This year’s Presenting Sponsor was VISA. 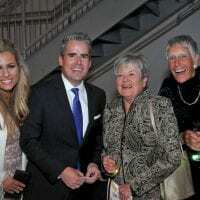 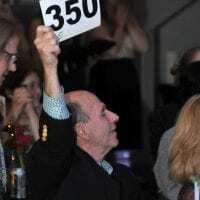 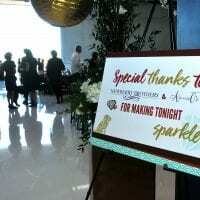 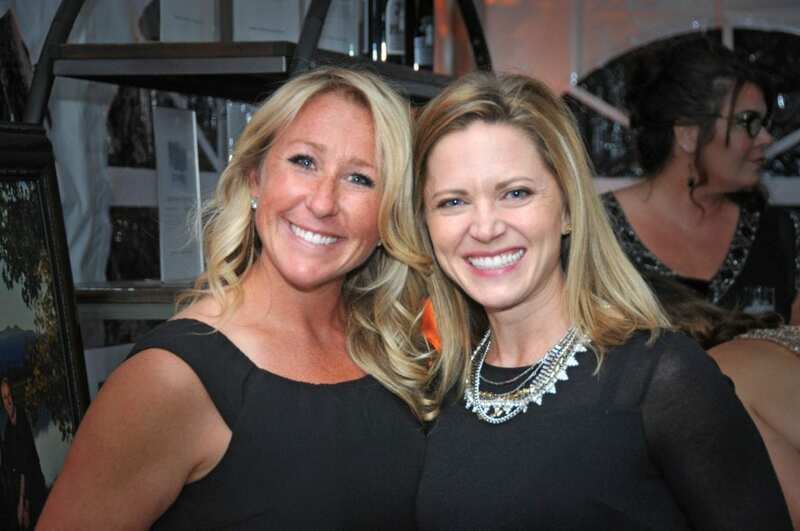 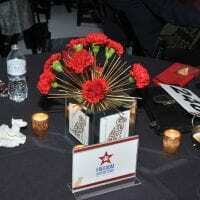 Silver Sponsors were: Brownstein Hyatt Farber Schreck, Denver Life Magazine, Jay’s Valet, Decorative Materials. 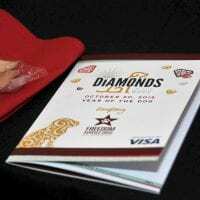 Bronze Sponsors: Giovanni, TCA ETrade, Baird, FOX31, Mile High Sports Magazine, and The Denver Post. 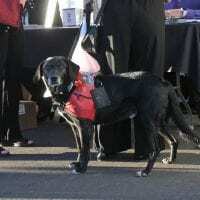 For more information visit the web site at freedomservicedogs.org or call 303-922-6231.